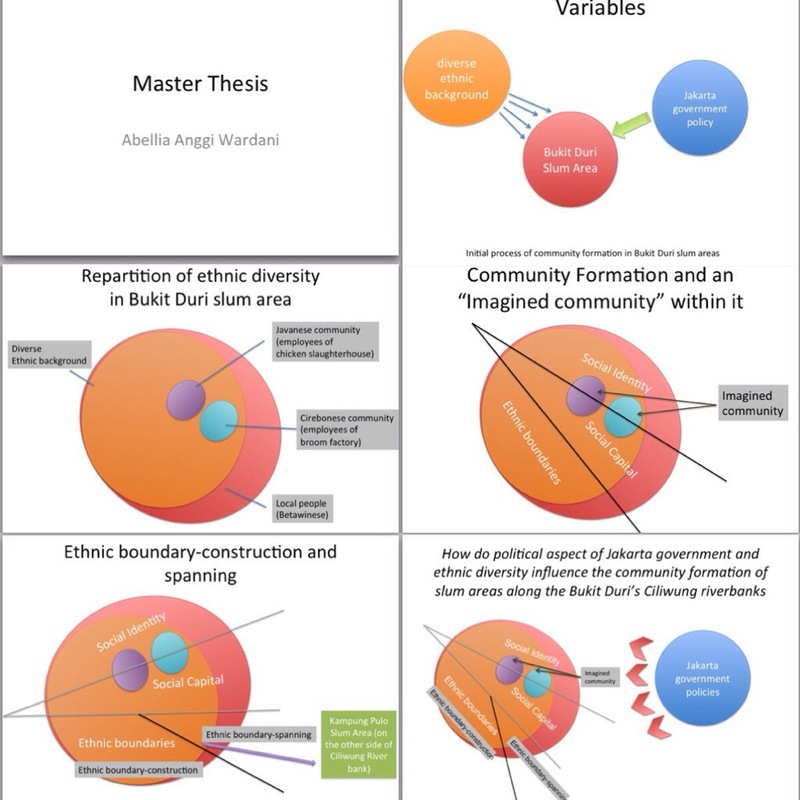 Bukit Duri slum area: master thesis!!! [Tilburg] I used to able to answer these questions “How is Indonesian people’s behaviour? Is this sort of Javanese trait? Do you consider yourself as Javanese though you’ve been living away from the homeland for years? What is the essence of being Javanese if any? Is that the thing you have in mind, as what you perceive as your identity? Or it is something that is constructed in your environment that eventually influence on your daily basis decision, activities, way of thinking?”.. This is 30% of my research findings, it could be way more complicated if you wish, but I should know how to limit my focus area anyway. So these schemes are to answer basically “what is happening with the people along the 1 KM Bukit Duri riverbanks?” I couldn’t imagine of how many schemes and concepts and theories to answer previous questions, that’s crazy, I need all the time in the world to answer “how is Indonesian people’s behaviour?” for instance. Who is Indonesian people? What behaviour? In which area? For people with which level of social economic status? Their education? Their actual residence? Have they faced any direct contact with foreigners? Does it have any effects on their social identity of being Indonesian? Anyway. Wish me luck for my first draft thesis defence tomorrow!